Vote for Your Favorite Overland Vehicle! Our Cool Ride! Contest for Overland Expo EAST has launched into the finals round! Now is the time to view the finalists and vote for your favorite. Help pick the winner of the coolest adventure rig from the eight finalists! 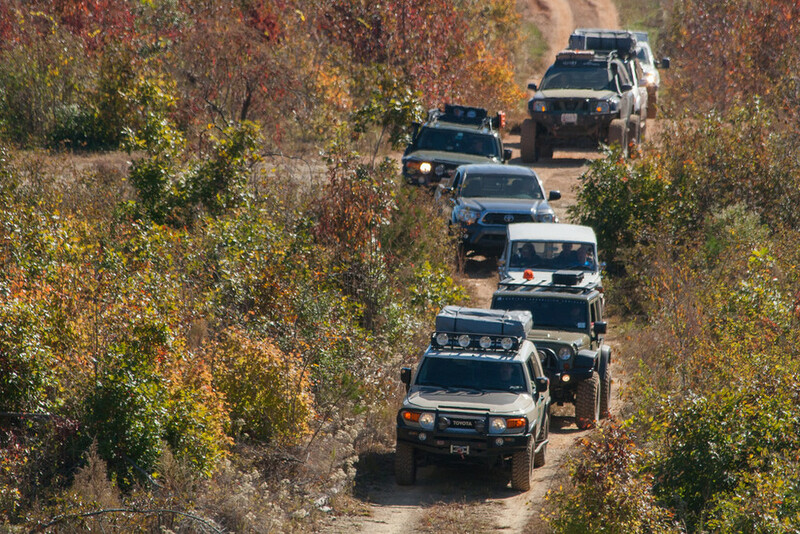 Overland Expo celebrates the diversity of vehicle-dependent overland travel. Whether large or small, from two wheels to four or more, we want to see what moves you. And that is what the Cool Ride contest is all about. Join us for the Cool Ride Party at Oskar Blues Brewery in Brevard on November 7th from 5:30 until 8 pm to view all eight awesome finalists, enjoy food trucks, great beer, and meet overlanders from all over the world! There are no tickets required for the Cool Ride! Party, so please come join the fun. 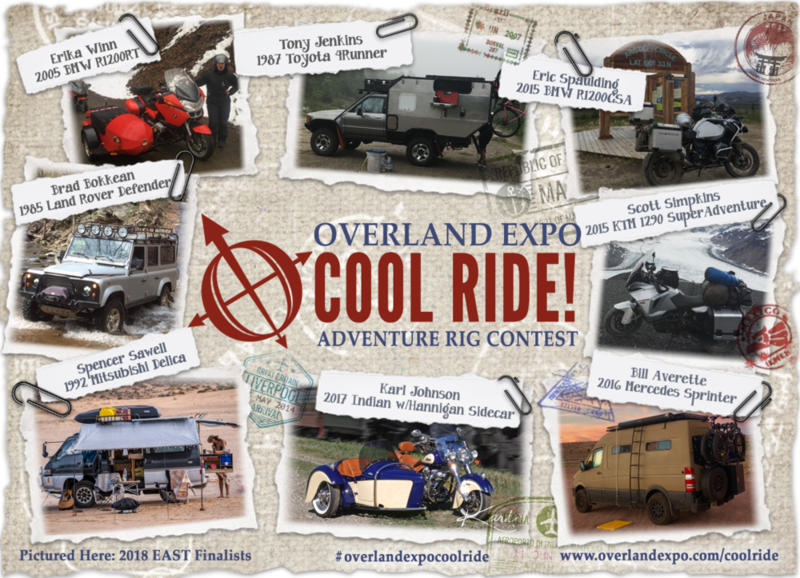 Then don’t forget to vote for your favorite rig at www.overlandexpo.com/coolride! The winner will be announced during happy hour on Saturday at Overland Expo held at REEB Ranch. If you want to be part of the excitement on Saturday, there are just over 50 Overland Experience Passes available, a few Weekend Passes with Camping - Moto Only, and, of course, Day Passes available. Pick up your tickets HERE. Tickets must be purchased in advance, so get yours soon! Day Pass parking is at the same location as the Cool Ride Party on Wednesday (no overnight parking is allowed). It is almost time for Overland Expo EAST! We hope to see you there! Mark Twain did not coin the phrase “There are lies, damned lies, and statistics,” but that doesn’t make it less appropriate for the 2015 Overland Expo East. Statistically, October recieves the lowest rainfall of any month of the year in Asheville, North Carolina, but that’s a damned lie when a hurricane cruises by offshore and backs up a massive low-pressure system on loan from Canada. The result was a decidedly damp Expo. Meanwhile, BFGoodrich Mud Terrain tires were getting a workout at BFG’s own course, which while shorter was no less challenging: Spectators lined up outside splash range and cheered as the company’s demo Jeep Rubicon and turbodiesel Defender 110 cleared each obstacle. Elsewhere in the venue, classes were full (those in the three enclosed tents seemed particularly well attended . . .), vendors reported brisk business, and evening social gatherings in the big lake house were lively. Most special to all of us was the Saturday evening introduction and presentation for ConserVentures' new charity fundraiser, in memory of young motorcyclist explorer Alistair Farland. A room full of several hundred people engaged in dozens of conversations fell completely silent as Alistair’s story unfolded through video and the recollections of his friends. The subsequent silent auction and raffle raised over $5,000. Find out more about how you can help this important effort here. We at Overland Expo want to thank everyone who persevered through the weather, who sent us emails about what good times they had in spite of—or because of—the challenging conditions, who supported our many sponsors and vendors, and who gave generously to a wonderful cause that will inspire young people to explore and change their world.